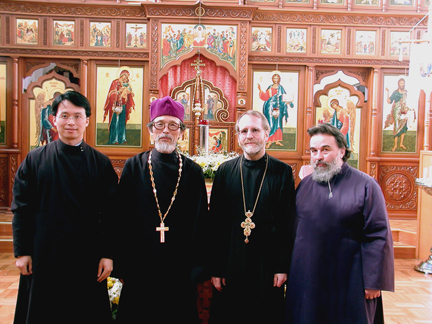 On July 8, the Chief Deputy of the President of the Synod of Bishops, His Eminence Archbishop Hilarion of Sydney, Australia and New Zealand officiated at Divine Liturgy at Presentation Women's Monastic Community along with Priest Justin Kang, the Rector of the South Korean Mission; and Priest Alexander Korzhenevsky, Rector of the Church of St George in Carleton. 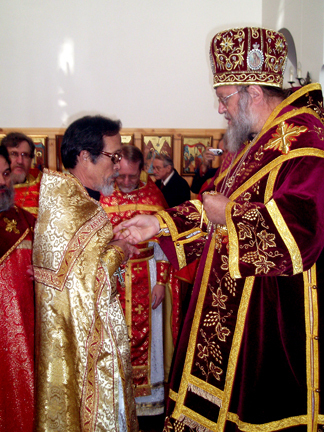 During the hours, His Eminence ordained Reader Paul Kang to the rank of subdeacon. 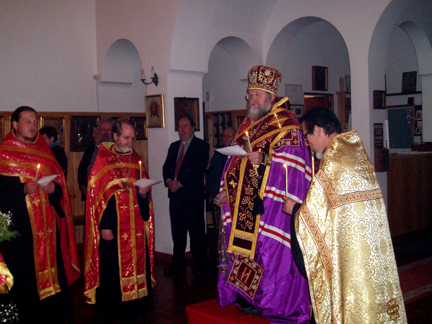 During the appropriate moment of Divine Liturgy, Archbishop Hilarion then ordained him to the deaconate. 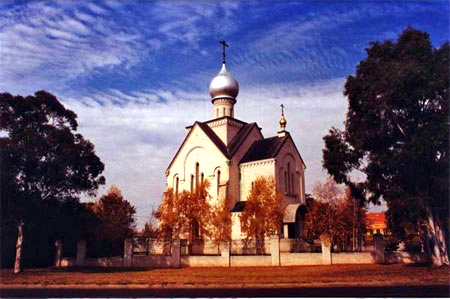 After a trapeza organized by the sisters, under the direction of Abbess Anna (Karipoff), Archbishop Hilarion headed for the capital of Australia, where that evening, he performed all-night vigil at St John the Forerunner Church. 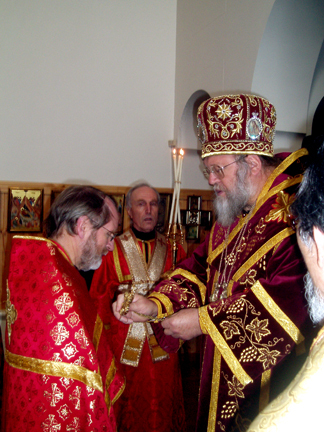 The following morning, the Chief Deputy of the Synod of Bishops celebrated Divine Liturgy during which His Eminence awarded the Parish Rector, Protopriest Alexander Morozov, the ornamented cross, and Fr Justin with the gold pectoral cross. 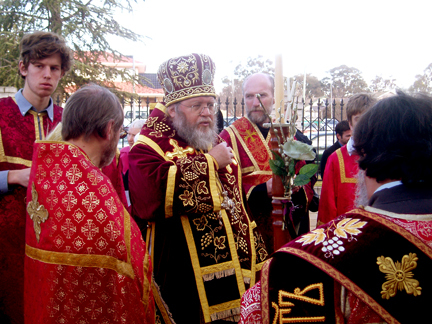 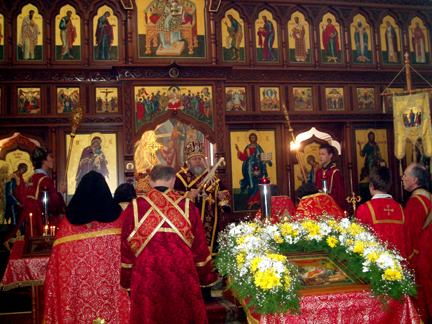 At the end of services, Archbishop Hilarion gave a sermon in which he noted that Orthodox Christians in Russia are now venerating a relic, the hand of St John the Forerunner, with which he baptized our Lord Jesus Christ. 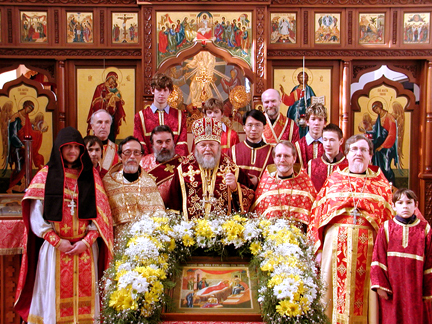 Then His Eminence congratulated all who gathered with the feast day, and the clergymen with their ecclesiastical awards, wishing them God's bountiful help. 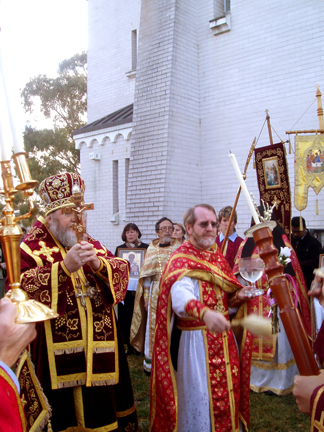 In his response, Fr Alexander warmly greeted Archbishop Hilarion, expressing thanks for the common prayer which he led them in that day in the capital of Australia. 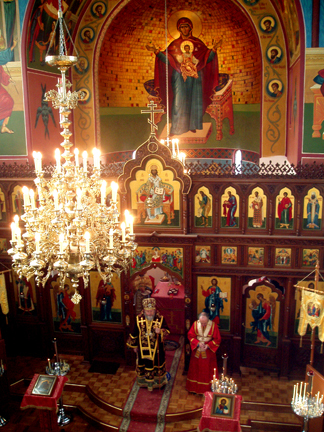 To mark the occasion, the parish sisterhood organized a festive trapeza at the local church center. 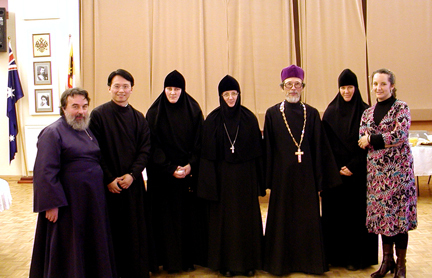 Among the guests were representatives of the Russian Consulate, the clergymen who performed the services, and a group of nuns from Presentation Community. 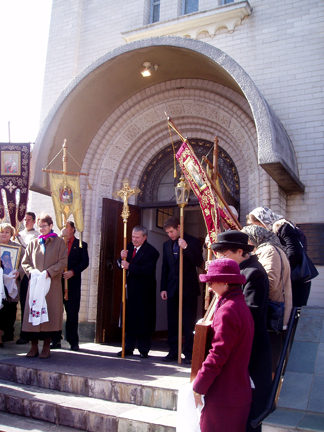 Mr A.I. 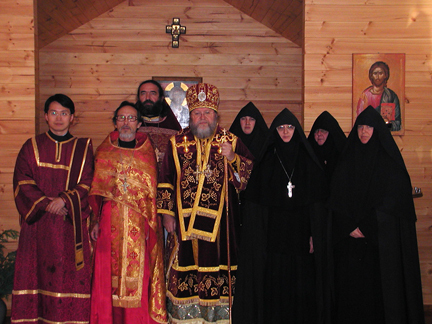 Artukh read a greeting sent by the Ambassador, and Fr Justin and the local Protodeacon Basil Yakimov also spoke.